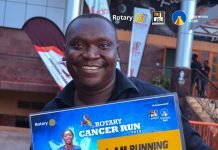 The Rotary Cancer Run is back and better. Who are you running for? Dr. Emmanuel Katongole donating blood at the Mengo Hospital Rotary Blood Bank. 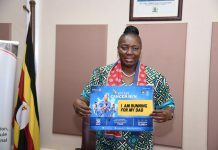 It is only six days left to the 2018 Rotary Cancer Run, an annual event dedicated to help Ugandans battling the disease. 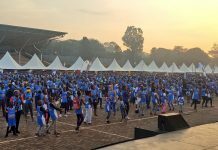 Unlike the previous years, participants have the opportunity this year to choose who they are running to save, honour or remember. 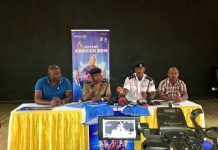 According to Henry Rugambwa, the Secretary Rotary Club of Kampala, the Uganda Rotary Cancer Programme was initiated to save Ugandans were and still are dying of cancer due to mainly lack of awareness and treatment. 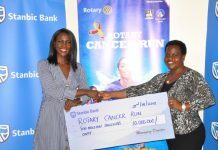 “We embarked on a mission to build a specialist cancer ward in Uganda. 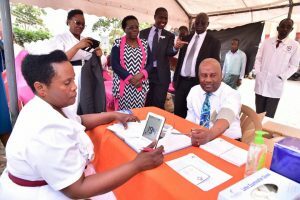 Our vision was that this ward would provide the vital early detection and cure of cancer, provide pre and post-treatment care and most importantly save many lives being lost needlessly,” he said. 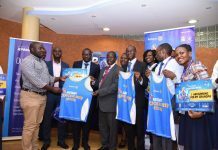 This year’s run is proudly sponsored by Centenary Bank and will take place on Sunday, August 26 at Kololo Ceremonial Grounds and in all major towns across the country. Tickets cost Shs25,000 each. In Kampala, one can get a ticket today from Capital Shoppers, Bulange Mengo, Rotary Office on 9th Floor NIC Building, Game Stores Lugogo and select Centenary Bank branches and Airtel shops and in all major towns across the country.